"I enjoyed my stay and my room was very clean." The staff was very helpful and found my room to be very clean. 21-Jan-2019 Verified Review, stayed from Fri Jan 18 to Sat Jan 19 2019 at a $112.00 average nightly rate. 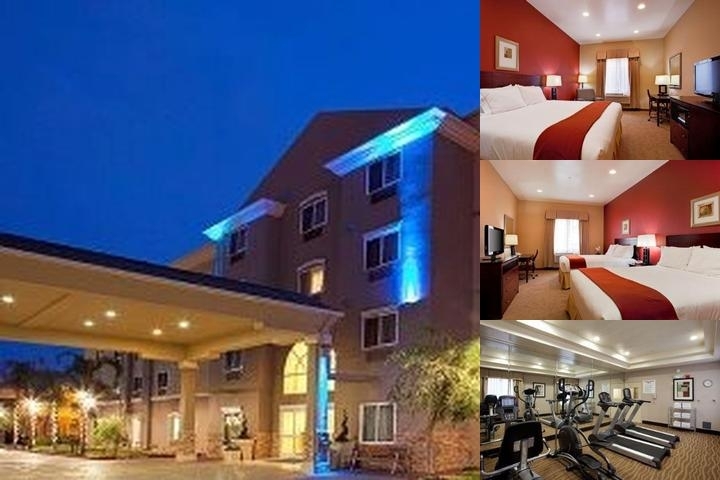 The Holiday Inn Express, Hawthorne is a newly built property with services and amenities guests love. We are four miles from LAX and easily accessible to major freeways such as the 405, 105, 110 and 10. We are also convenient to shopping, fine dining. Outdoor heated pool and Jacuzzi. Los Angeles International Airport is 4 miles from the property, complimentary 24 hour shuttle availbale, taxi approximately $15.00. Local shuttle available 24 hours daily to/from LAX at no additional. ,Transportation to Century Blvd. where guests can take the Ocean Express Trolley into shops in Manhattan Beach and to the Manhattan Beach Pier. Complimentary deluxe continental breakfast buffet that includes egg and sausage options served daily from 6:30a.m. to 9:30a.m. 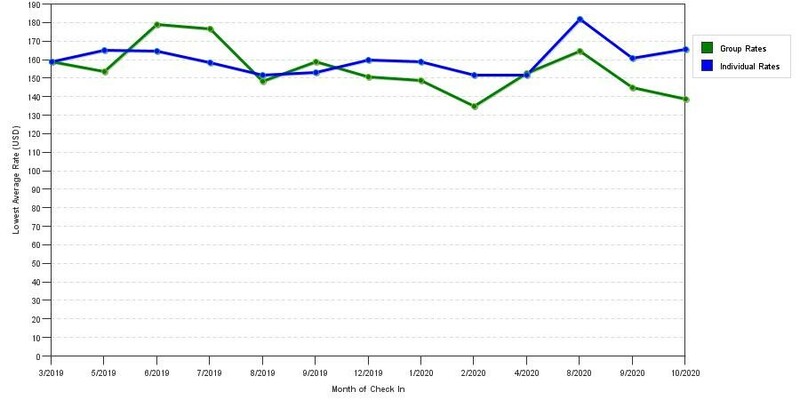 Above shows averages of room prices for both group quotes and the lowest individual traveler rates our rate checker could find at the time the group bid was entered. The lowest group deal shown is 14.1% in April 2018 and the highest average individual rate is $194 in the month of August 2017. This chart will show past seasonality and also project future months. If you are flexible with dates, you may want to consider staying at Holiday Inn Express & Suites Lax Hawthorne in a month when rates are lower. 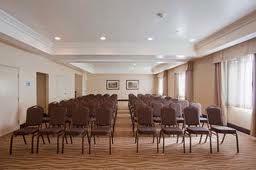 Below are the meeting, banquet, conference and event spaces at Holiday Inn Express & Suites Lax Hawthorne. Feel free to use the Holiday Inn Express & Suites Lax Hawthorne meeting space capacities chart below to help in your event planning. Hotel Planner specializes in Hawthorne event planning for sleeping rooms and meeting space for corporate events, weddings, parties, conventions, negotiated rates and trade shows. Flexible space available for various meeting types. We allow outside food and beverage to allow guests to find food options within their budget, however alcoholic beverages are not allowed. 100 x 24 x 20 Ft.
Our boardroom is a great option for small business meetings. We provide a variety of packages to help your meeting run smoothly, including projectors, screens and complimentary wireless internet access. 30 x 17 x 11 Ft.